Another contest is in the books, and once again we provided a sufficient challenge to prevent anyone from earning a perfect score. 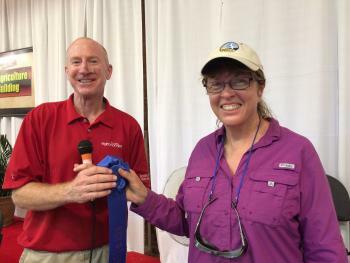 In the Professional Division, two-time defending champion Cindy Recker was narrowly edged out by Karen Stiles, last year’s winner in the General Division. Both Cindy and Karen correctly identified 32 out of 35 weeds, but we awarded Karen first place since she correctly identified more of the weeds in the ‘Professional’ category. The top five in the Professional were separated by four points. Karen Stiles, champion in the Professional Division. 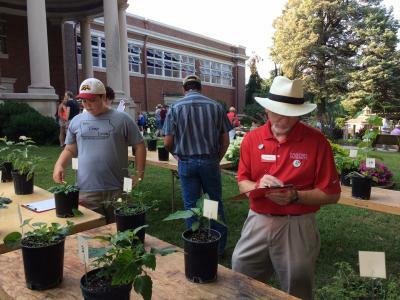 In the General Division, two recent graduates of ISU’s Agronomy Department finished in the top two places. Casey Engen was first, whereas Sarah Streigel finished a close second. 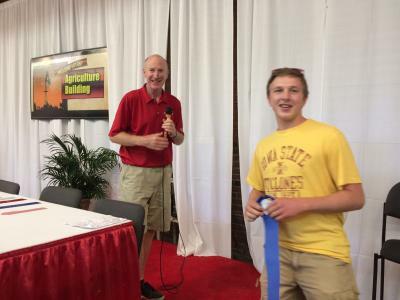 In the Future Agronomists division, William Crow edged out Aiden Anderson for the Blue Ribbon. These two Future Agronomists finished in fourth and fifth place in 2017, showing the value of experience and spending time to learn weeds. William Crow, champion of Future Agronomist Division. 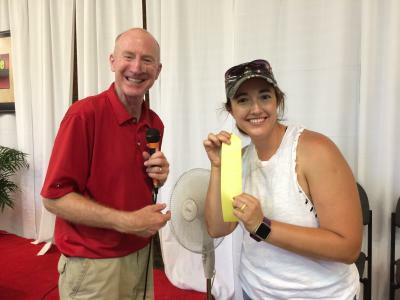 In an embarrassing moment, I misidentified one of the weeds in the contest, and several contestants in the Professional Division were quick to point out the errors in my ways. I’ve always said most weed scientists (including myself) are not very good plant taxonomists, but we do know our weeds. I included a specimen of ladysthumb (Persicaria maculosa), but had taken the lazy route and assumed it was the more common Pennsylvania smartweed (Persicaria pensylvanicum). The simplest way to differentiate the two is the margin of the ochrea – ladysthumb has hairs on the ochrea margin, whereas Pennsylvania smartweed doesn’t. As always, we appreciate everybody who takes the time to participate, or those who stop by simply to discuss the weeds. We hope to see everyone next year; as always, the contest will be held on the first Friday of the greatest state fair in the world!! Nothing makes me happier than running into former student Katie Demers. Better luck next year Katie. John Lawrence, Vice President for Extension and Outreach, did pretty darn good for an Agricultural Economist. Meaghan and I appreciate the help of Becca Johnson in helping grow the specimens and managing the contest.